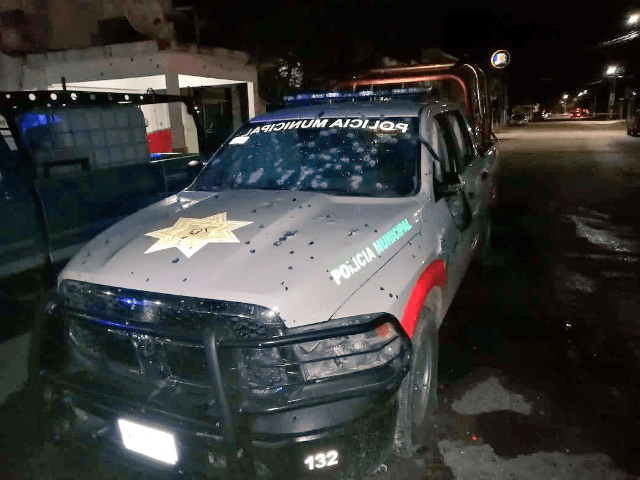 MONTERREY, Nuevo Leon – A team of cartel gunmen attacked a squad of local police officers in the northern town of Anahuac before making a clean getaway. Three police officers and two innocent bystanders were injured. 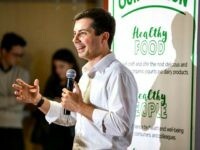 The attack comes one day after Breitbart News reported exclusively on the discovery of human ashes at a cartel killing field in the rural areas surrounding Anahuac. The attack came at night–not far from the Anahuac City Hall when a group of police officers were patrolling the streets. Teams of cartel gunmen in tactical clothing attacked a squad of four officers. The outgunned cops managed to hold off the attack long enough for reinforcements to arrive. Video taken by residents from a nearby neighborhood while the gunmen fired automatic weapons. A second video also captured the sounds of machine gun fire in the distance, providing a look at the intensity of the fighting. Two innocent bystanders were shot. Anahuac is approximately 45 miles south of the border with Laredo, Texas, and is seeing an increase in activity by the Northeastern Cartel (CDN). This is the same territory where the CDN deploys teams of gunmen in cloned military uniforms to fight rivals and ambush law enforcement. Editor’s Note: Breitbart Texas traveled to the Mexican States of Tamaulipas, Coahuila, and Nuevo León to recruit citizen journalists willing to risk their lives and expose the cartels silencing their communities. The writers would face certain death at the hands of the various cartels that operate in those areas including the Gulf Cartel and Los Zetas if a pseudonym were not used. Breitbart Texas’ Cartel Chronicles are published in both English and in their original Spanish. This article was written by Tony Aranda from Nuevo Leon and “J.M. Martinez” from Coahuila.